Owning a water conditioner supplies more benefits than just shinier dishes and softer skin. Ridding your home of hard water may also help you save cash in the long term. While there are upfront costs associated with purchasing a water conditioner for your home in Houston, Texas, doing so can prove to be a very savvy investment for multiple reasons. First and foremost, soft water can help improve the performance and extend the lifespan of water-using appliances. Hard water minerals like calcium and magnesium leave behind stubborn deposits that build up over time, typically causing clogs that impede the movement of water through plumbing pipes and other components of the appliance. This reduces the appliance’s effectiveness and efficiency, and increases the likelihood of a breakdown. So, if you’d rather not spend your hard-earned cash on repair or replacement costs, installing a water conditioner system in your Houston, TX, home can help you avoid doing so. 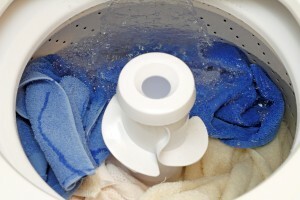 In addition to avoiding appliance breakdowns, a water conditioner may save you money by helping you get the most out of your detergents, body washes, and shampoos. This is because hard water minerals trigger a chemical reaction with soaps that prevent them from producing a rich lather. If your pricey shampoo, favorite body wash, or premium laundry detergent can’t properly lather, it can’t effectively clean. So, you’ll need to use more of the product to achieve any sort of satisfactory result. Lastly, as any homeowner who doesn’t own a water conditioner knows well, hard water stains are tricky to remove. Costly cleaning products and plenty of elbow grease are required to remove such stains from plumbing fixtures, dishes, sinks, and shower doors. By switching to soft water, the expenses involved in scrubbing away hard water stains can be an annoyance of the past. If you’re ready to own a water conditioner in your Houston, TX, home, trust the professionals at RainSoft. A leader in the water treatment industry since 1953, RainSoft supplies dependable whole house water solutions to families around the world. Contact your local authorized RainSoft dealer today to learn more.